Arlington, Va. — The National Academies of Sciences and the Transportation Research Board (TRB) released a consensus study report for the Innovative Bridge Research and Construction Program (IBRC). The program, funded by the Federal Highway Administration from 1999 to 2005, delivered $128.7 million in federal grants to state transportation departments to promote the use of innovative materials and technologies in the construction and repair of highway bridges. 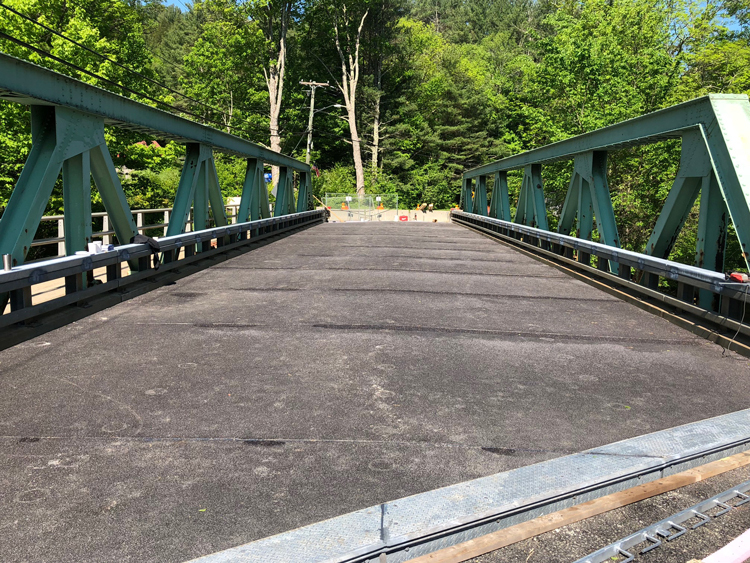 The IBRC program funded nearly 400 projects and 150 bridges using a number of materials, including fiber-reinforced polymer (FRP) composites, high-performance concrete (HPC), high-performance steel (HPS), and corrosion-resistant reinforcing bar (rebar). The recently released consensus study report provides conclusive data and analysis about the performance of these bridges, assessing the performance, utility, and life-cycle costs of these bridges. as well as recommendations to Congress on how the life-cycle costs of bridges can be reduced through the use of technologies. The results of the study were extremely positive for the composites industry, demonstrating that advanced materials and technologies can co-exist with traditional materials with cost savings. Study results showed that the IBRC technologies reduced construction time and traffic congestion, improved safety, and reduced the risk of injury and casualties. Additionally, the study proved the use of advanced technologies, including FRP composites and corrosion-control technologies, reduce bridge life-cycle costs. “The study results have the potential to increase the adoption of composites and advanced materials in key markets like infrastructure, construction, and transportation, which is exciting news for our members and the entire composites industry. More importantly, it will benefit the American taxpayer by providing quality infrastructure that lasts much longer,” Dobbins continued. The IBRC study reinforced the value of federal incentives to promote the use of advanced materials and technologies while mitigating the associated risk and costs. The study emphasized that a “new federal incentive grant program for innovative bridge technology could continue the success of IBRC in accelerating the adoption of proven technologies and also contribute to advancing less developed technologies by supporting state highway agency bridge projects.” The study recommended a new federal program that models the IBRC program. Lastly, the study recommended new research by the U.S. Department of Transportation (USDOT) and state DOTs to expand data collection, promote long-term monitoring and planning, develop new materials and techniques, and better evaluate the improvement in performance and life-cycle costs of bridges using new and existing advanced materials. ACMA’s leadership role was and remains vitally important to increase the use of composites in our infrastructure and transportation systems. ACMA’s members and leaders worked closely with Senator Whitehouse, the sponsor of the provision ordering the study, and with the TRB to understand composites technologies during the study process. The evidence is clear in this study. Composites and other advanced materials in our bridges can improve performance, lower costs of bridge construction, lower life-cycle costs and improve safety for everyone. ACMA supports the findings of the study and the recommendations for more data and analysis to understand material performance and establish standards. It will work with its industry partners and the Congress to implement the findings of the report and promote the necessary legislation to create a 21st century infrastructure that supports a 21st century population and economy.